My keyboard is working fine. Thanks for caring. 3D printing has taken off in recent years, but if you plan to copy an object, you’d have to reproduce it in digital form in AutoCAD or other program, which may be difficult and time consuming. An obvious solution is 3D scanning, and I initially thought that 3-in-1 3D printers that scan print, scan, and copy object would really bring such products into more household, so I wrote about somewhat affordable printers such as AIO Robotics Zeus or Blacksmith Genesis, that would sell for $2,200 and up. 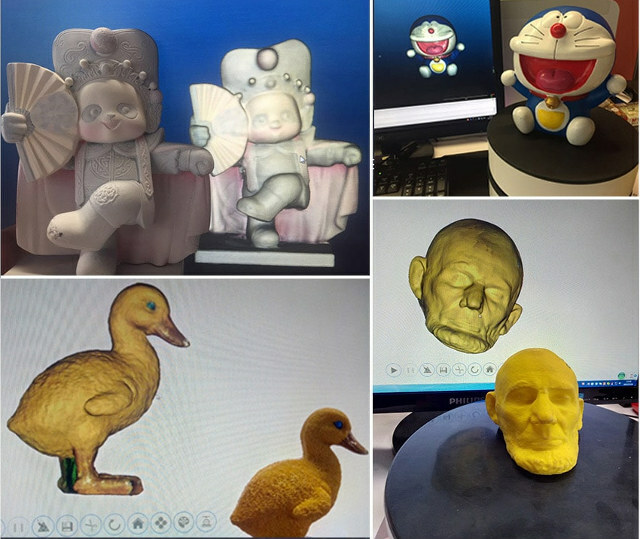 The company doing the latter appears to have closed business, and the Zeus is still for sale but some users reported various issues with 3D printing. So if you’d rather not put all your eggs into one basket, it may be smart to purchase a 3D printer and a 3D scanner separately. The price range is impressive from $133 to $7,000 on a site like GearBest. The cheaper model may not be very accurate, scan in a single color, and according one review “interesting, … but not suitable for a person without technical knowledge”, and most people won’t want to spend $7,000 on a 3D scanner especially when buying from overseas. 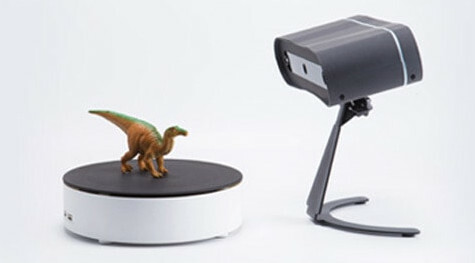 So instead I’ll have a look at the strangely named OOOOOO T-1 Desktop 3D Scanner that sell for “only” $1,141 shipped. The scanner can generate STL, ASC or OBJ files. It ships with a turntable and a metal stand. If I understand correctly, no specific software is needed, the scanner will just generate a 3D file which you can then copy to your computer over USB, and open in your favorite “3D visualizer” program. I could not find any reviews online yet, but the results look pretty good if we can trust the photos released by the manufacturer. Beside the full featured scanners, I’ve also noticed some solutions leveraging your smartphone’s camera such as EORA 3D scanner with a smaller turnable, and a smartphone holder, and some are hand-held scanner which are quite cheaper than the desktop ones, but obviously it should be fairly more complex to get a good scan out of those. Feel free to share your experience if you’ve used any 3D scanners yourself.